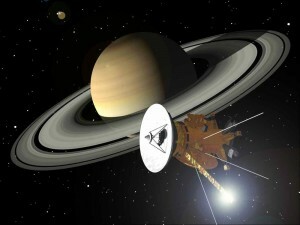 NASA’s Cassini Spacecraft was launched back in October of 1997 where it would eventually arrive at Saturn 7 years later. Since then, the spacecraft has spent 12 years orbiting the planet but will soon meet its demise after operating in Saturn’s orbit three times longer than originally expected. Over the years, Cassini has been responsible for a wide range of discoveries from vast lakes of methane to pertinent data regarding the composition of Saturn and its rings. However, the spacecraft’s fuel will run out soon and as result NASA plans to crash Cassini into Saturn after skirting the planet’s rings in a last ditch attempt to collect particle samples on November 30th. Next year, on September 15, 2017, at 8:07 a.m. ET, Cassini will make its final flight into the clouds of Saturn and transmit its last bit of invaluable information before burning up and plummeting to its death.